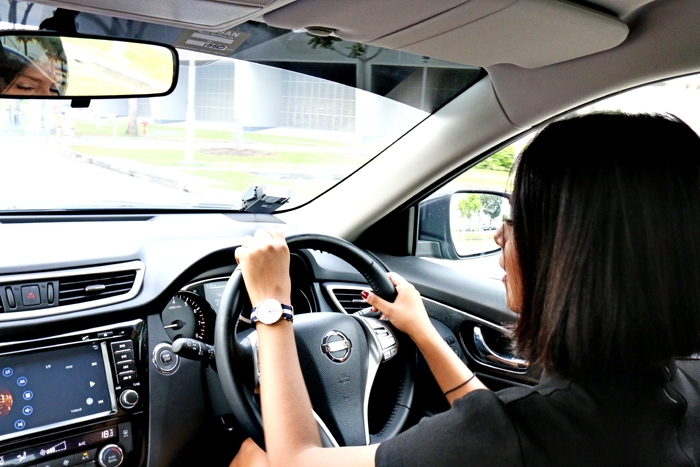 Singapore - Crossovers are big business these days, and these Swiss Army Knives of the automotive world have gradually pushed SUVs into the rough. For folks who are pushing 40-something and older (and this is the Ed talking), the differences between the two seem to revolve around packaging and marketing, because these same vehicles would have been called ‘SUVs’ not so long ago; of course, we can’t forget about the swoop here and extra curve-kink there that were inspired by whatever coupe/hatchback-whatsit either, which helps justify the new ‘crossover’ moniker, just so it can appeal to the folks who regard cars as a lifestyle accessory extension to their personalities. You might not believe it, but the X-Trail has been with us for more than 15 years, and the first iteration was a pretty credible off-road warrior. 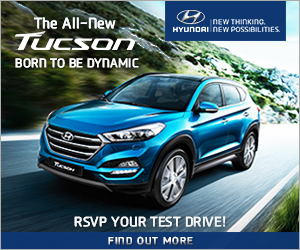 However, changing times and the fickle winds of automotive fashion and function have meant that it needed to reinvent itself, which it has accomplished admirably well with the sophisticated and well-appointed current model. Unfortunately, folks of our vintage continue to think of the X-Trail as a boxy SUV for mostly the guys that was bigger on rugged ability than today’s three-row passenger-pampering. 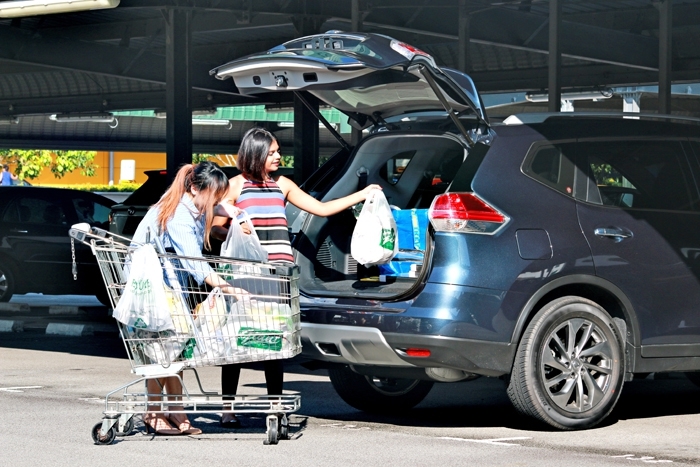 Where grocery shopping (or any form of shopping for that matter) is concerned, a car’s practicality is the most crucial aspect, especially if you expect to carry both shopping bags and friends at the same time without making it uncomfortable for either. In full seven-seat configuration, we’re talking about a 135-litres boot space and 445-litres with the third-row seats are folded down. Next to the convenience of sliding doors, the doors on the X-Trail come a close second, as the rear side doors swing open almost 80 degrees, which make loading and unloading a cinch. 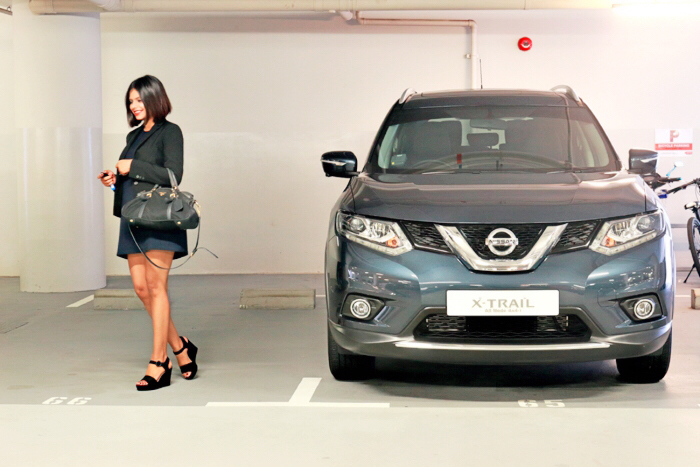 On this same topic, anyone with hands full of shopping bags will be happy to know that the X-Trail’s tailgate comes with a sensor-activator that features a hands-free function – just wave your hand at the sensor, with the intelligent master key kept at close distance (like in your pocket, for instance) and the tailgate swings open. Given that my yoga kakis don’t live near each other, I thought that zipping around to pick everyone up would make a dent on the fuel level, but the two-litre averages a reasonable 7.5l/100km and this improves when I’m cruising on the highways. Four people on-board and a fully complement of yoga equipment? Easy-peasy for the X-Trail. Another facet to the X-Trail’s utility is the smart and innovative double load floor system. But what does this mean exactly? More storage options; Much more storage options to be precise. 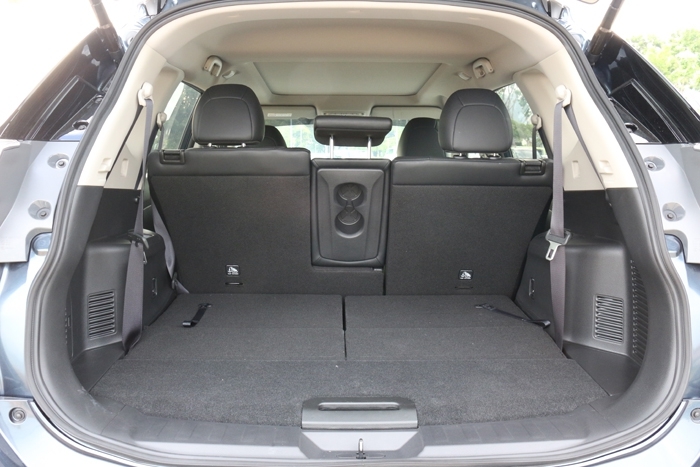 The floor of the X-Trail’s cargo area is as flexible as a circus gymnast. The boot space can be portioned into upper and lower spaces with an elegant single-handed motion. In its top most position for example, the floorboard can hold up to 10kg, and the lower holds approximately 75kg worth. Having a separate storage solution to stow larger sporting equipment, or even dirty equipment, is now possible, and the upper load surface can be reserved for smaller, lighter (or clean) items. 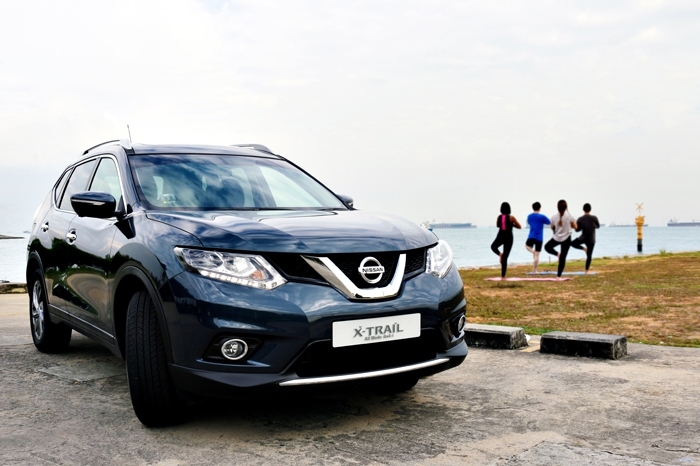 The X-Trail is clearly not just another pretty face, because it boasts a versatile high quality interior that is perfect for the family or friends to enjoy. 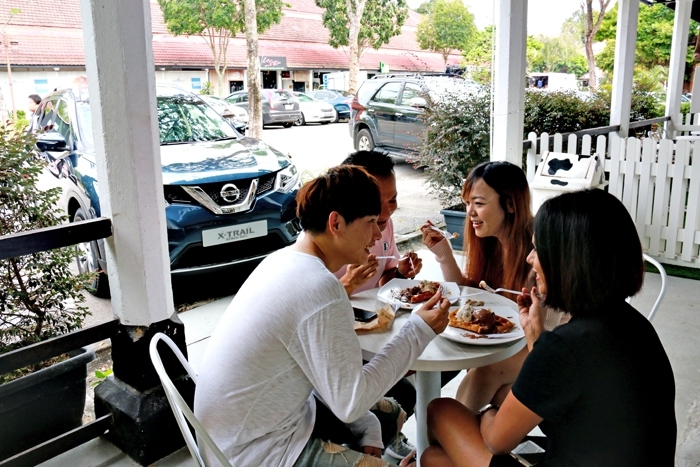 It’s finally the weekend, and weekends always involve brunch hopping with la familia. Our household of five onboard merrily jump into the X-Trail to cruise around town to find that first chow stop for the day. In the X-Trail, it barely feels like you’re in a crossover; quite the opposite of what you might be thinking actually, because apart from the elevated driving position, it’s almost car-like, albeit with the commodious space of a MPV. There’s ample legroom, headroom and even good space to preserve each passenger’s personal space in both the second and third rows. There’s also enough to keep the passengers occupied on longer trips, or if there’s a lull in the chit-chat. 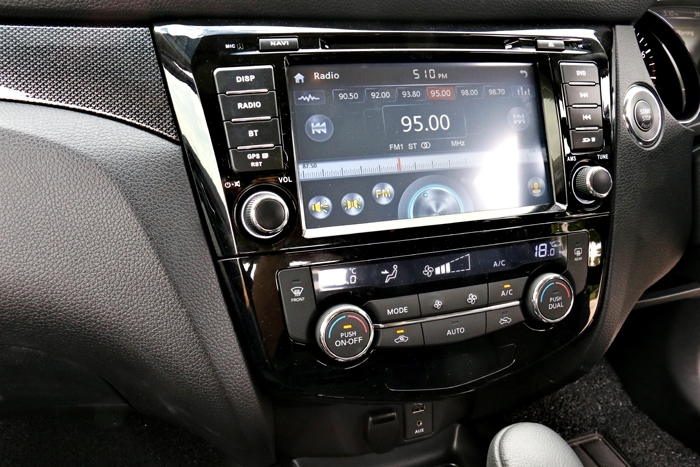 The X-Trail features the latest in-car entertainment system with a seven-inch colour touchscreen, so my friends and I could enjoy the full range of music and social networking apps on the go at just a click of a button. On a particularly long work-day, I was headed out to a client meeting and it started to pour, but it was reassuring to have the security of the X-Trail’s all-wheel drive on my side. 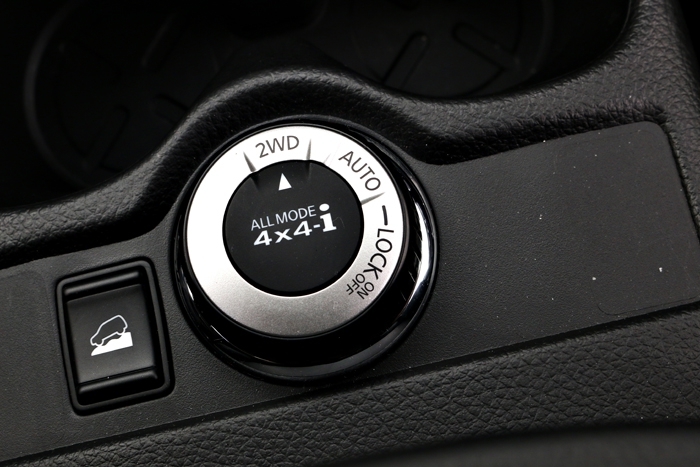 The new X-Trail uses an interchangeable wheel-drive system that can be toggled between two- and four-wheel modes using the rotary knob on the centre console. On top of that, the daily 25km round-trip commute to the office isn’t a big chore either, because of how easy it is to pilot the X-trail. With its commanding view, I can always keep track of the road conditions ahead, yet it never feels too big or intimidating to drive in city traffic or carparks. The steering is reasonably light, and the crossover even handles with car-like grace; on the occasions where overtaking is necessary, the X-Trail doesn’t disappoint, because there’s decent mid-range pull.